Muahmmed (peace be upon him) said, “There are three signs of “Munafiq”; When he speaks he Lies, when he promises he breaks those promises and when he is entrusted, he embezzles.” (Hadith Bukhari and Muslim). Here are some names that have been coming to mind the past few days that I have enjoyed contemplating on this post. They are in no particular order and not the outcome of extensive research, rather of some moderate research and names that are well-known in the Muslim community. I purposely wanted to include examples of leaders/exemplars in the religious and secular fields. Prof. Ilham Al-Qaradawi is professor of Physics at Qatar University and Adjunct Professor of Physics at Texas A&M University in Qatar. She received her Ph.D. working in the field of positron physics from University of London, UK in 1991. Over the past decade, she has established a positron laboratory at Qatar University and successfully built the first slow positron beam in the Middle East. She has also established an environmental radiation measurement laboratory. Dr. Al-Qaradawi is involved with Europe’s CERN in the Antihydrogen experiment AEGIS. She is the founder of the Qatar Physics Society. Dr. Ilham Al-Qaradawi is a fellow of the institute of Physics and a member of many international societies. She also sits on the advisory committee of the World Nuclear University Radiation Technology Summer School and the World Council on Isotopes, and has lectured in the World Nuclear University Summer Institute for the past four years. Prof. Ilham Al-Qaradawi has been awarded many awards for excellence in research, for Arab Women in Science and outstanding contribution to science. She has had many appearances on Al-Jazeera channel and several other TV channels and newspapers and magazines. She has been listed by the Arabian Business magazine as one of the 50 most influential people in the State of Qatar and one of the 500 most influential Arabs in the world for the year 2012 and 2013 and one of the top 28 Arab scientists in the world and by CEO Middle East magazine as one of the100 Most Powerful Arab Women for the year 2012. Yasmin Mogahed received her B.S. Degree in Psychology and her Masters in Journalism and Mass Communications from the University of Wisconsin-Madison. After completing her graduate work, she taught Islamic Studies and served as a youth coordinator. She also worked as a writing instructor at Cardinal Stritch University and a staff columnist for the Islam section of InFocus News. Currently she’s an instructor for AlMaghrib Institute, a writer for the Huffington Post, an international speaker, and author, where she focuses most of her work on spiritual and personal development. Yasmin recently released her new book, Reclaim Your Heart, which is now available worldwide. Visit her website, yasminmogahed.com, where you can find a collection of her articles, poetry, and lectures. Dalia Mogahed is Chairman and CEO of Mogahed Consulting, a Washington, D.C. based executive coaching and consulting firm specializing in Muslim societies and the Middle East. She is former Executive Director of and Senior Analyst for the Gallup Center for Muslim Studies where she led the analysis of surveys of Muslims worldwide, including in the U.S. and Europe. With John L. Esposito, Ph.D., she is coauthor of the book Who Speaks for Islam? : What a Billion Muslims Really Think. Dalia was appointed to President Obama’s Advisory Council on Faith Based and Neighborhood Partnerships, where she served on the Inter-religious Dialogue and Cooperation Task Force. Arabian Business magazine recognized her as the most influential Arab woman in the world, and The Royal Islamic Strategic Studies Centre included Mogahed in their list of the 500 most influential Muslims. Ashoka named her the Arab World’s Social Entrepreneur of the Year in 2010, and Mogahed received her alumni association’s prestigious Forward Under 40 award for outstanding contributions by a graduate of the University of Wisconsin. She is a WEF Young Global Leader and serves on the Forum’s Global Agenda Council on the Arab World. The past president of ISNA (Islamic Society of North America). I blogged about her here. Anse Tamara Gray was born in 1966 in Minneapolis, Minnesota. Soon after converting to Islam in 1984, she traveled to Damascus, Syria; where she lived for almost twenty years while studying core subjects of the Islamic tradition such as theology (aqīda), hadith, Qur’anic exegesis (tafsīr), and Islamic law. She also received a certification (ijāza) in Qurʾanic recitation from the late preeminent scholar of the Qur’an, Shaykh Abū al-Ḥasan al-Kurdī, in 1997. Anse Tamara Gray holds a Bachelor’s degree in political science and elementary education from Macalester College and a Master’s degree in curriculum theory and instruction from Temple University. Her career as an educational consultant includes curriculum design and implementation, administrative support, teacher training, and sensitivity training. Her speaking engagements encompass women’s issues in Islam and the Middle East, education, geographical issues, and other matters related to education, social issues, and Islam. She currently resides in St. Paul and serves as the founder of Rabata, which organizes educational activities for Muslim women in the form of online classes, workshops, and weekend intensives. 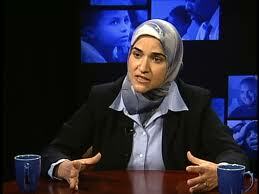 Dr. Feryal Salem received her ijaza in Qur’anic recitation from the late Syrian scholar Abu al-Hasan al-Kurdi in 1998. 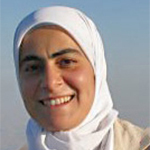 She has since then studied a number of related Islamic sciences including: Shafi’i and Hanafi jurisprudence (fiqh), Islamic theology (aqida), the Prophetic biography, Arabic grammar, Muslim inheritance law, classical logic, Qur’anic sciences (ulum al-Qur’an), and Islamic legal methodology (usul al-fiqh). In 2009, she received a degree in the hadith sciences from the Nuriyya Women’s Hadith Institute of Damascus attached to the ancient Umayyad Mosque complex and whose program of study includes studying various hadith texts and classical commentaries. In addition to her traditional study, Dr. Salem has completed a PhD in Islamic Studies with a focus on hadith methodology from the University of Chicago. She currently resides in Hartford where she is Assistant Professor of Islamic Scriptures and Law at the Hartford Seminary as well as Co-Director of the Islamic Chaplaincy Program and Director of the Imam and Muslim Leadership Graduate Certificate Program. 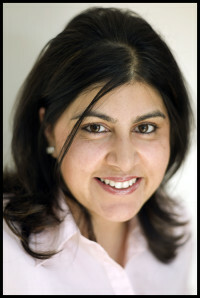 A lawyer, a businesswoman, a campaigner and a cabinet minister, Sayeeda Warsi has had many roles, but she is best known for being the first Muslim to serve in a British cabinet and the foremost Muslim politician in the Western world. One of five girls born to immigrants of Pakistani origin in Dewsbury, West Yorkshire, Sayeeda studied law at Leeds University, going on to work for the Crown Prosecution Service before setting up her own legal practice. Her father, a former millworker and bus driver who set up his own business, instilled in her values of freedom, responsibility and aspiration. In 2007 she was elevated to the House of Lords aged 36, making her the youngest peer in Parliament. Later that year she travelled to Sudan and famously helped to secure the release of the British teacher Gillian Gibbons who was on trial for blasphemy. In 2010 she was appointed by Prime Minister David Cameron as Minister without Portfolio, becoming the first Muslim to serve in a British Cabinet. In 2011 she provoked support and controversy when she famously declared that Islamophobia had ‘passed the dinner table test’. In 2012 she led the UK’s largest ever ministerial delegation to the Vatican, gaining global coverage for a speech which called on Europe to strengthen its Christian identity. Outspoken and challenging on the issues that many people seek to avoid, she has become an interesting and distinct voice on topics previously considered taboo. She led the government’s campaign to criminalise forced marriage and spoke out on the sexual grooming of children by gangs. Her business background and her passion for manufacturing have made her a champion for British business both at home and abroad, and as a result she has played a key role this government’s foreign policy priorities. Her campaign to ensure that Britain became the first western country to issue a Sukuk (Islamic bond) succeeded when Prime Minister Cameron announced the UK’s intention to implement this in 2014. This young lady is no stranger to most of my readers I think. 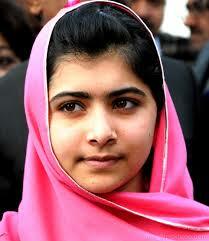 My inspirational little sister, Malala Yousufzai. Her courageous stand for what is right no matter the situation she is in, is such a powerful reminder of the personality of the women who were the vanguard of this Ummah (=nation, a word Muslims use to refer to the entire Muslim community. It has a more personal meaning than that, as Muslims do consider ourselves to be part of one very large very diverse and very old family). I won’t include a bio here, as she is so well known. 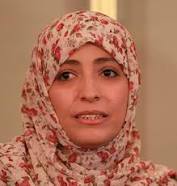 Another well known modern highly influential Muslim woman; Tawakkul Karman. Here is someone I doubt many of you would have heard of, despite the fact that TheMuslim500 calls her likely the most powerful Muslim woman in the world. Munira Qubeysi is the head of the largest women-only Islamic movement in the world. It offers Islamic education exclusively to girls and women. Qubeysi commands around 80 schools in Damascus alone, teaching more than 75.000 students. She is one of the most significant Islamic scholars in the world; her movement focuses on learning the Qur’an and six Hadith collections by heart. Qubeysi is arguably the most influential Muslim woman in the world, albeit in great discretion. By training a new generation of female Islamic scholars, Sheikha Qubeysi has made Islamic knowledge widely accessible. From her website; In Qatar, her home, her highness serves as Chairperson of Qatar Foundation for Education, Science and Community Development (QF), a private non-profit organisation founded in 1995. Its flagship project is Education City, which covers over 14 million square metres and houses branch campuses of renowned international universities and institutions. QF also is engaged in numerous scientific research and economic and social development projects. Sheikha Moza serves as the Vice Chair of the Supreme Council of Health and she also served as the Vice Chair of the Supreme Education Council from March 2006-February 2012. In these roles, she has helped enact major top-down reforms of Qatar’s public schools and healthcare system. Also, more recently, she chairs the Sidra Medical and Research Centre, a new training and research hospital that is envisaged to become a leading institution for women and children’s specialty care.On a regional and international level, Sheikha Moza has launched multiple projects including the International Fund for Higher Education in Iraq, the Silatech initiative to address the growing challenge of youth employment in the Middle East and North Africa, and Education Above All, a policy research and advocacy organization concerned with a single policy area: protecting the right to education in conflict-affected areas. Finally I want to end by sharing a letter of appreciation written for a great teacher by her student, upon her death. I wanted to share this, as for me, it beautifully portrays the great place women and women-scholars have always had in our tradition. This letter has been translated to the English here, from where I take it. It was written notably, by a male student and given in the dignified and honorable Arabic style of presentation that I am coming to love more and more the more I study it. Most people are not aware of the movements of preserving knowledge going on in the Muslim world. Indeed I did not know either until recently. An unfortunate side-effect of my colonial education, albeit it was very good in many other ways. The people of Greater Syria have a beautiful quality, namely that they love the men and women of sacred knowledge. With this merit also comes a shortcoming in that many of them do not become aware of their scholars until after they have passed. Before our tears had yet to dry for our dear brother and teacher, al-Ḥāfiẓ al-Ustādh ʿAbd al-Hādī al-Ṭabbāʿ, God willed that another great and noble scholar, whose likeness is rare to find, be taken to the eternal abode. The scholars of Damascus and the carriers of God’s book submitted their affairs to His divine will with the death of Dr. Daʿad al-Ḥusaynī (may God have mercy on her). Dr. Daʿad earned her PhD in mathematics from the Soviet Union and was one the oldest professors of mathematics in the Department of Science at the University of Damascus. She was born in 1938 and her father was the late teacher and guide Muhammad ʿAlī Ḥusaynī al-Jazāʾirī. She was an individual of many talents. During her youth she studied in Moscow and taught in Algeria before settling at the University of Damascus. She became devoted to her faith and transformed both in heart and action. She was a leader of the Islamic women’s movement in Syria and one of its most senior teachers. She was certified (mujāza) in all ten recitations of the Qurʾān (acquiring the station of al-ḥafiẓā al-jāmiʿa li-l-qirāʾāt) at the hands of the blessed scholar of Syria, Shaykh Abū al-Ḥasan al-Kurdī—may God preserve him and continue to benefit the Muslims from him. Hundreds of women graduated under her tutelage as certified reciters of the Qurʾān. The students of these reciters then produced thousands of other women reciters of the Qurʾān. She was rigorous in her precision and exactitude in Qurʾānic recitation. She spent her life as an upright spiritual guide, a devoted wife, a dedicated mother, and a great scholar. This is attested to by all who interacted with her and witnessed her qualities of distinction and leadership. I was privileged to have been her student in mathematics at the university during the late seventies. Later, I was honored to have met with her many times at the meetings of the board of directors of the Badr al-Dīn al-Ḥasanī Foundation for Sacred Sciences. She was an individual who possessed strength of character while maintaining a balance in her life that was further exemplified by her farsightedness. Until now, I recall her firm command over a college lecture hall of hundreds of students whose eyes had never been exposed to a woman in a headscarf who was capable of instructing them in mathematics (keeping in mind that she was one of the rare women in the universities at that time who practiced Islam to this level). I can also testify with all honesty that she was one of the most proficient professors with whom I had studied mathematics and to this day, I possess in my heart the greatest of respect and gratitude towards her. While she published only a small booklet on the science of tajwīd, she engraved the Book of God on the hearts of thousands of our mothers, sisters, and daughters. She also published books on mathematics, problem solving, and numbers. She possessed—may God have mercy on her—the most lofty of good character, exceeding benevolence and had a luminous smile that encompassed both resolution and kindheartedness. She is survived by her husband, Muḥammad Nadhīr al-Māliḥ, as well as a son and daughter. Her funeral prayer was held on Thursday the 23rd of Rabīʿ al-Awwal, 1430 AH or March 19, 2009 CE at the Shāfiʿī mosque in West Mezze Damascus. She was buried in the Najhā cemetery. Her funeral was attended by an abundance of scholars of sacred knowledge and people of spiritual excellence. It was also witnessed by thousands of men and women who are carriers of the Book of God in their hearts. O Allah, have mercy on her in the grave and soothe her loneliness by the truth of Your Book that was her best companion, and make her and our brother ʿAbd al-Hādī al-Ṭabbāʿ of those who intercede on our behalf. O Allah, make those whom she has left behind from among her children, homeland, and students to receive the utmost of goodness and exchange this loss to the Muslim community with another bounty. Indeed, God does not take or give except that everything is set in a balance. Innā lillāh wa innā ilayhi rājiʿūn. Composed by one of her students and sons in knowledge, upbringing, and virtue: Aḥmad Muʿādh al-Khaṭīb al-Ḥasanī.